Pennsylvania provides numerous employment opportunities for aspiring CNAs. In order to begin working legally in Pennsylvania, you must complete the state’s minimum requirements to obtain your certification. The Division of Nursing Care Facilities of the Pennsylvania Department of Health administers the Nurse Aide Registry services through a Commonwealth contract. 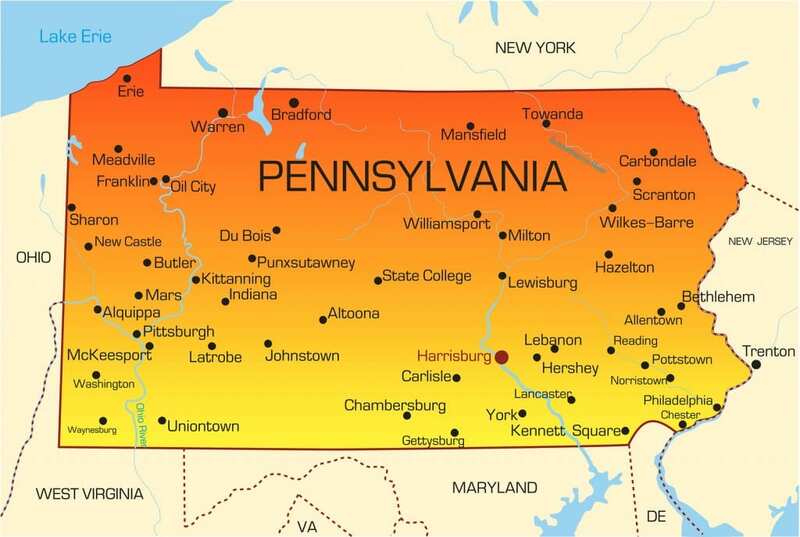 The Pennsylvania Department of Aging coordinates with Pearson Vue to provide test instruments and transmit information to the Nurse Aide Registry. The Pennsylvania Department of Education approves nurse aide training programs, maintains an updated list of approved programs, and verifies test eligibility of student nurses. Other cities in Pennsylvania: Please scroll down below or use CTRL+F (Command+F on Mac) to search this page. 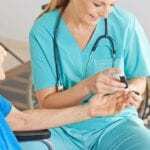 The state of Pennsylvania requires nurse aides to obtain a license before performing duties at long-term healthcare facilities, home health care agencies and other licensed healthcare facilities within the state. Employers must verify the status of the prospective employee on the state’s Nurse Aide Registry before extending an offer of employment. Proof of immunization of tetanus, measles, rubella, and mumps. Pennsylvania boasts over 130 programs spread across 67 counties. Training programs at approved nursing homes, high schools, colleges, universities, vocational institutes and freestanding facilities provide at least 100-contact hours of training, which includes classroom lectures and clinical externship. Instructors provide the skills students need to meet the daily responsibilities at long-term healthcare facilities. In order to qualify for the state-mandated exam and obtain your license, you must enroll in a state-accredited program. Check the list below or refer to the DOE’s list of approved nurse aide training programs. The cost of NAT in Pennsylvania varies from $800 to $1,400. While some schools include the cost of supplies in the total cost, most do not. Therefore, as a prospective student, you should allocate funds for textbooks, supplies, uniform, and the state exam. If you’re employed or received an offer of employment from a long-term nursing care facility at the time of your training, your employer, by-law, must take full responsibility for your training and testing expenses. If you do not have an employment relationship with a nursing facility, you may be eligible for reimbursement for the full cost of training and testing if you secure employment within twelve months of completing the training. You’re eligible to apply for the state exam if you graduate from a state-approved program or if your listing on the registry lapses due to no nurse aide-related employment within the past 24 months. You should download the registration form at www.pearsonvue.com and fill it out with the help of your program provider. The American Red Cross schedules all testing within the state. The two-part exam consists of the skills and written component. You must pass both parts in order to obtain a listing on Nurse Aide Registry. For the skills component, the evaluator, a registered nurse, scores your ability to execute five nurse aide skills selected at random. The written component comprises of 50 multiple choice questions. However, you can opt for the oral test, which also consists of 50 multiple choice questions, in lieu of the written component. You must request the oral exam on the registration form before you submit an application to the American Red Cross. The state permits three attempts to pass the clinical and written components. If you wish to try again, you must retake the training program before reapplying for the nurse aide evaluation. The applicable fees to both registries. You must renew your certification every two years. 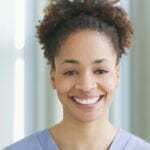 In order to renew the certification, you must work as a paid CNA for 8 continual hours and receive 12 hours of in-service training during the past 24 months. Always notify the registry of any changes in your address.